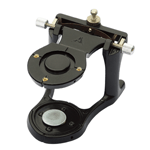 #2-E Crown and Bridge Articulator with rear adjustable stop. Brass finish. 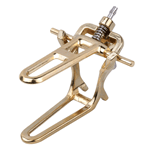 #2-E Crown and Bridge Articulator with rear adjustable stop. Chrome finish. Model #8. 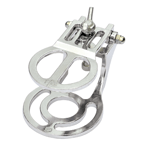 This articulator is 2-5/8" (67 mm) wide at the condyle with a 12˚ condylar inclination, and has a vertical parallel clearance of 2-5/8" (67 mm). 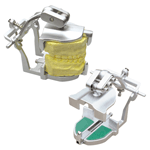 2 piece articulator design provides standard lateral and protrusive movements. Parts are easily separated. Brass finish. Apex #2. The width at the joint is 1-3/4" (45 mm) with a vertical parallel height of 2-1/8" (54 mm) and condylar inclination of 25˚. 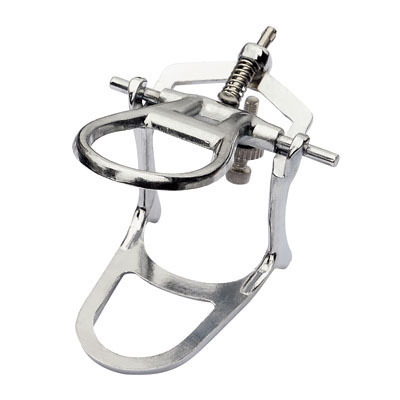 The small size of this articulator allows the versatility to use for full or partial work and it is very comfortable to hold in one hand. Chrome Finish. Model #8. 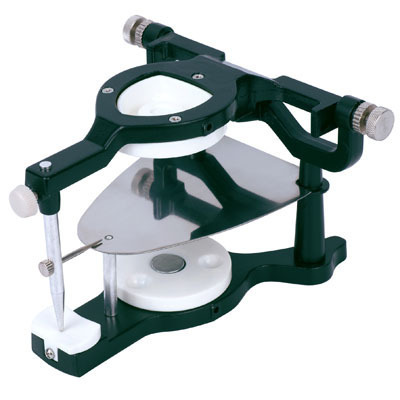 This articulator is 2-5/8" (67 mm) wide at the condyle with a 12˚ condylar inclination, and has a vertical parallel clearance of 2-5/8" (67 mm). 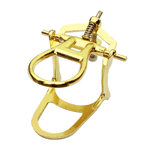 2 piece articulator design provides standard lateral and protrusive movements. Parts are easily separated. Chrome finish. 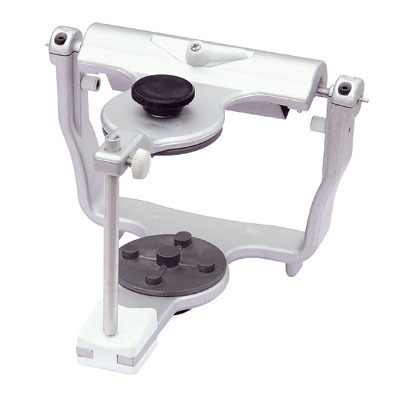 Small size magnetic dental articulator. 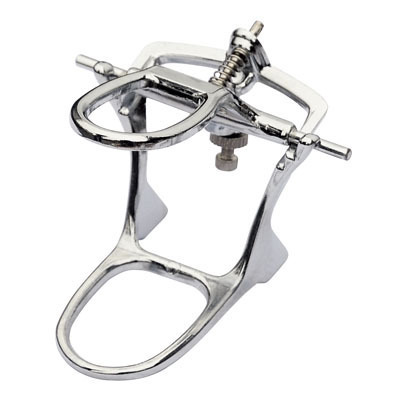 Easy to operate and convenient for lab use. 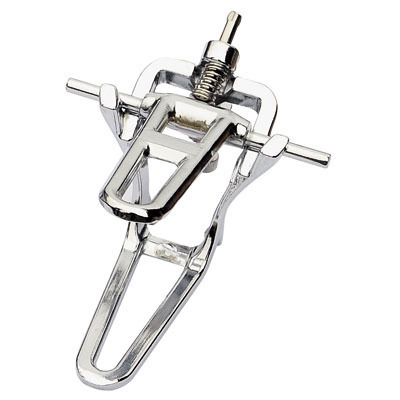 Large magnetic dental articulator that provides fast, precise and easy removal.